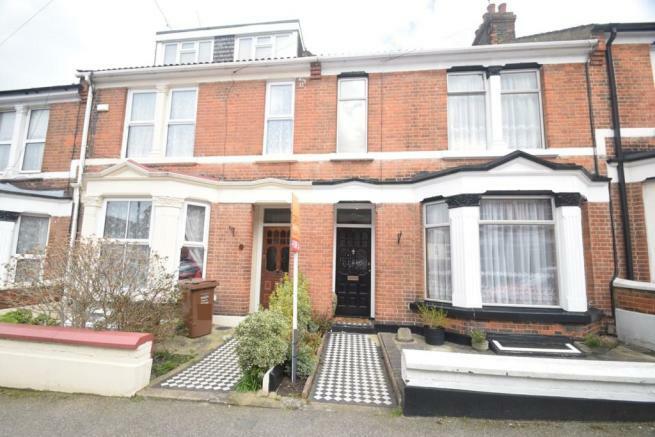 Fantastic opportunity to purchase an extended five bedroom period property in the ever so popular Gillingham conservation area. Internally, the property has been extended in the loft providing two bedrooms and also a single ground floor rear extension, offering kitchen/breakfast room, utility area, downstairs shower room and two separate reception rooms. The property also benefits from having a cellar, which could easily be converted into a play area/cinema room. To the first floor, three well proportioned bedrooms and a family bathroom, complete with a free standing bath. Even though the property has been extended, the easy to maintain rear garden remains a good size measuring approximately 46'09 x 18'05. In order to book your viewing and avoid disappointment, contact the Greyfox Sales Team in Rainham at your earliest convenience. Disclaimer - Property reference 13735989. The information displayed about this property comprises a property advertisement. Rightmove.co.uk makes no warranty as to the accuracy or completeness of the advertisement or any linked or associated information, and Rightmove has no control over the content. This property advertisement does not constitute property particulars. The information is provided and maintained by Greyfox Estate Agents, Rainham. Please contact the selling agent or developer directly to obtain any information which may be available under the terms of The Energy Performance of Buildings (Certificates and Inspections) (England and Wales) Regulations 2007 or the Home Report if in relation to a residential property in Scotland.